The international media has recently begun to highlight the tenuous situation in Afghanistan, backed by reports of the inspector generals of the Pentagon, State Department, and U.S. Agency for International Development. These reports have a point, and to put it bluntly, the situation on the ground has not been good. A brief overview of the incidents that have occurred in various Afghanistan provinces gives a glimpse into the country’s current situation. Earlier this month, reports confirmed that the Matta Khan district in Paktika Province had experienced an uptick in Taliban attacks. The Taliban forced the closing of all schools in Matta Khan after it issued warnings that the buildings were being used for government activities, including preparations for the national elections. According to local news reports, the Taliban has succeeded in launching a series of attacks in the Tashkan district of Badakhshan. One of the more recent incidents involved the raiding of a police station which resulted in 20 officer casualties and three kidnappings. All of the districts in Kunduz are currently contested by the Taliban. Practically speaking, this means that while the central government is the official authority and has a presence in these places, the Afghanistan military does not maintain full control over these areas. A strong indication of just how tight of a grip the organization has on the province came in April when the Taliban ordered all of the over 500 schools in Kunduz closed. The overwhelming majority of institutions - some 75 percent - were forced to abide by the edict. Over the past several weeks, the eastern province of Ghazni has been experiencing increased encroachment from the Taliban. On May 20, the Taliban claimed it overran the Ajristan area after laying siege to the district center for several days. Ajristan was the second district in Ghazni to be overrun by the Taliban in a week. 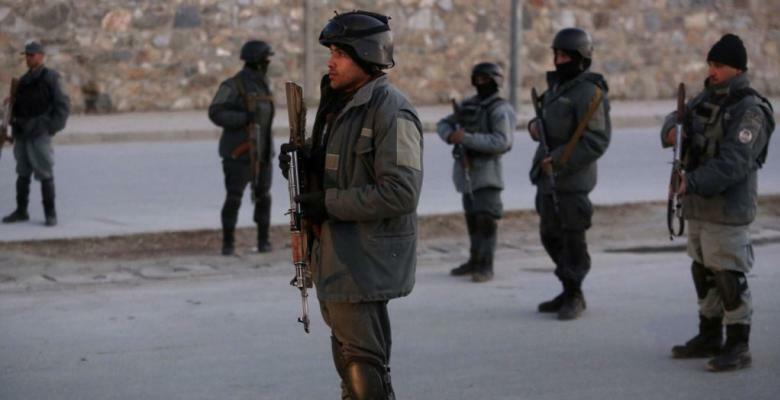 In addition to the broader security situations of the above provinces, the Afghan Ministry of Defense recently identified seven provincial centers under serious threat from Taliban forces. They include Farah City, Faizabad in Badakhshan, Tarin Kot in Uruzgan, Kunduz City, Maimana in Faryab, and Pul-i-Khumri in Baghlan. Despite these observations, disappointing as they are, they should be put into context. Afghanistan has been engulfed in war for 17 years. For most of that time, the U.S. led coalition has been hobbled by self-imposed restrictions. Trump’s Afghanistan strategy still has hope to succeed, as long as resolve can be maintained. It is important to remember, that the U.S. mission in Afghanistan is fundamentally an attempt to make the Afghan government independent. Making Afghan troops more capable was an effort that received significantly less focus in earlier years of the war. With this goal now a much higher priority, America has a solid chance of effectively transferring the security responsibility for Afghanistan to its own people.